Published on December 28, 2010	in 2010. It is with great sadness that we inform you of the death of Bishop Joseph Angelo Grech, Bishop of Sandhurst, Victoria, at the age of 62. 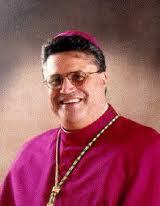 Bishop Joe Grech took ill on 22 December with a recurrence of a blood disorder. His condition deteriorated on Christmas Day, and he died peacefully in St Vincent’s Private Hospital Melbourne with Archbishop Mark Coleridge and Fr Maurizio Pettena CS, as well as family members and close friends at his side. President of the Australian Catholic Bishops Conference Archbishop Philip Wilson today paid tribute to Bishop Joe as an exceptional pastor. of migrants and refugees and his outreach to young people. He has also shown a wonderful support and commitment to Charismatic prayer groups in this country”, he said. Bishop Joe’s commitment to the people of the Diocese of Sandhurst was that of a man with a deep love for humanity and a great enthusiasm for the Gospel of Jesus Christ. Bishop Joe is quoted as saying: “I love Jesus Christ and want everyone to have the same opportunities to know and love him as I do.” Bishop Joe was the Bishops’ delegate for Youth and Young Adults and for Migrants and Refugees, and he served in these roles with joy and a deep compassion. Bishop Joe frequently spoke out on the treatment of asylum seekers and refugees in Australia, and he matched these words with pastoral action, through his involvement in the establishment of services in remote detention centres. Young people around Australia will feel particularly keenly the loss of Bishop Joe whose enthusiastic manner, unique and charismatic style of preaching and gentle pastoral sensibility helped many young people encounter the spirit of Jesus Christ. Further details and funeral arrangements will be provided as they come to hand. For media enquiries please contact Beth Doherty 0407 081 256 or Fr Brian Lucas 0419 243 959. Ftit siegħat ilu waslet l-aħbar li l-Eċċellenza Tiegħu l-Isqof Joe Grech, Isqof ta’ Sandhurst fl-Awstralja, temm il-missjoni tiegħu fuq din l-art u mar jingħaqad ma’ Kristu Rxoxt fid-Dar tal-Missier. L-Isqof Joe Grech li huwa mill-Arċidjoċesi ta’ Malta, għal ħafna snin wettaq il-missjoni tiegħu bħala saċerdot u bħala isqof fl-Awstralja kemm għall-emigranti Maltin f’dak il-kontinent, kif ukoll għall-poplu t’Alla fl-Awstralja fdat f’idejh. L-Isqfijiet ta’ Malta u Għawdex flimkien mal-Kleru u mar-Reliġjużi u l-Lajċi li tant drabi l-Isqof Grech saħħaħ bix-Xandir tal-Kelma, b’sens qawwi ta’ fidi u tama, jingħaqdu fit-talb f’dan il-mument speċjali mal-familja tal-Isqof Grech, mal-aħwa tiegħu fl-Episkopat fl-Awstralja, mal-Kleru, Reliġjużi u Lajċi fid-Djoċesi ta’ Sandhurst u ma’ dawk kollha li f’ħajtu gawdew mill-ħidma pastorali tiegħu. Published on December 10, 2010	in 2010. Kemm-il darba ssemma u nkiteb fuq il-mezzi tax-xandir u l-istampa li l-Knisja f’Malta għandha xi diffikultajiet dwar il-Liġi li tirregola Organizazzjonijiet Volontarji u l-Amministrazzjoni tagħhom. Ġieli ġie allegat li dawn id-diffikultajiet huma li l-Knisja ma tridx li tagħti rendikont skont din il-Liġi, tad-dħul u l-infieq finanzjarju tal-attivitajiet tal-Organizazzjonijiet tagħha. Dan mhux il-każ. Id-diffikultajiet huma ta’ natura oħra. Billi t-taħdidiet mal-awtoritajiet konċernati għadhom għaddejjin u jidhru li resqin lejn it-tmiem, jidhrilna li mhux prudenti nagħtu aktar dettalji. L-Awtoritajiet tal-Knisja jirringrazzjaw lill-benefatturi li bl-offerti u s-sehem tagħhom isostnu l-hidmiet tal-organizazzjonijiet tal-Knisja b’risq min hu f’xi bzonn. Nirringrazzjaw ukoll lill-Awtoritajiet Ċivili li dejjem sabu mezz legali biex jibqgħu jagħtu s-sussidju tant meħtieġ biex dawn l-organizazzjonijiet jibqgħu jagħtu dan is-servizz.